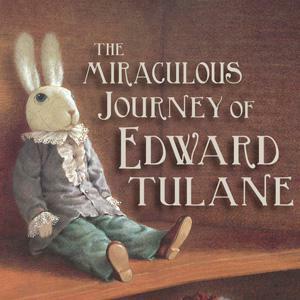 In Literacy we have been enjoying our class text, ‘The Miraculous Journey of Edward Tulane’ by Kate Dicamillio. This poignant adventure story, which is set in North America, is about a china rabbit that experiences a range of settings, identities and owners, whilst also learning the true value of love and friendship. We have really become absorbed in this text and have used it to inspire our own writing of a range of genres including narrative, diary and letter writing. The children have produced some stunning pieces of writing which we are looking forward to sharing with you. two-step maths problems and investigations. These lessons have required the children to apply their maths understanding and select and carry out appropriate calculations using both mental and formal written calculation methods. Our topic this term is all about North America. In art we have experimented with creating patterns and have begun designing our own Totem poles which we will be creating later in the term. In music we are carrying on our North American theme and we have been enjoying listening to both traditional and modern North American music, as well as beginning to compose our own musical pieces. During science lessons this term, we have been studying habitats and investigating the animals and insects which in inhabit them. 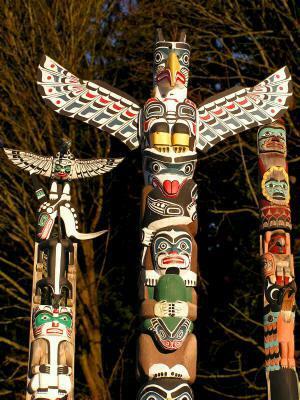 We have been learning not only about habitats in our country, but those native to North America also. all about rainforests. We will becoming biologists and discovering how to categorise plants and finding out about their medicinal properties, before learning how to survive when we end up ‘stranded’ in a rainforest. More details about our visit will be sent home shortly. This year, each class will look at a female writer, as part of World Book Day. We have chosen female writers, to link to the fundraising we are doing for Care , 'Walk in Her Shoes'. Year 4 have been reading poems by Valerie Bloom. We have been reading poems from her anthology, 'Hot like Fire'. This week in Maths, we have been converting units of measure. We have been looking at km, m, cm and mm and how we can convert them. Click here to play to a fun game involving measure. As part of our continued work on Ancient Greece, we have planned to visit The British Museum. The trip will take place on Thursday 25th March. A class letter has been sent home. Please let us know if you need another copy. Year 4 have had a very exciting and interesting term learning all about the Anglo-Saxons and Vikings. We have enjoyed two fantastic books, 'Beowulf' and 'The Ice Palace'. Both of them were full of adventure and we wrote lots of exciting stories, information texts, letters and diary entries based on the events in the books. Recently, we have also enjoyed doing lots of Maths work based around our own model Anglo-Saxon village. We made our own nets to make model houses, looked at maps to scale, used the 8 compass points to give directions and worked out the perimeters of the fences for the animal pens and fields. We have really enjoyed this topic! We have had a good final week of the term, with plenty of Christmas activities. Year 4 performed brilliantly for the Christmas Show and used lots of their gymnastic skills. Well done Year 4! See the pictures below from the Christmas Show and Maths lessons.